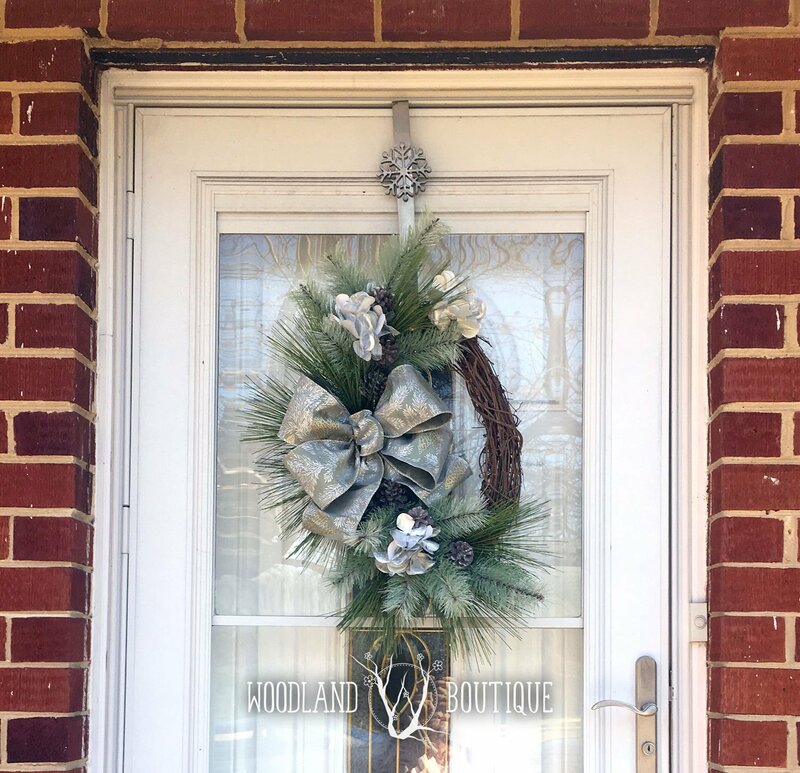 This oval wreath is ideal for narrower doors, but you can see how nicely it fits on a 36″ wide door as well (2nd photo). 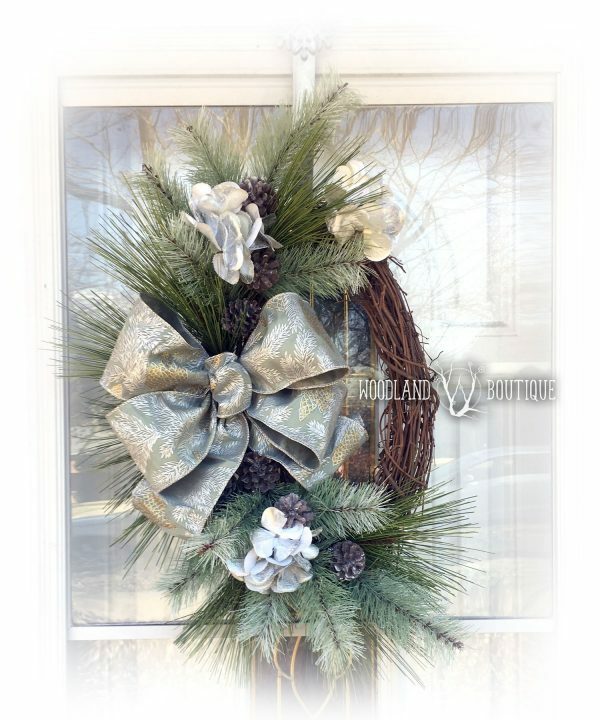 Wreath measures approximately 24″ tall and 18″ wide. 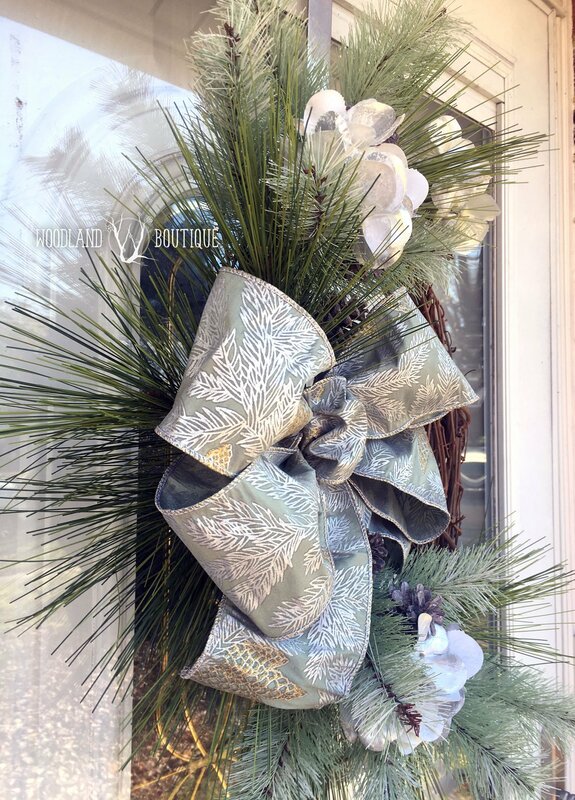 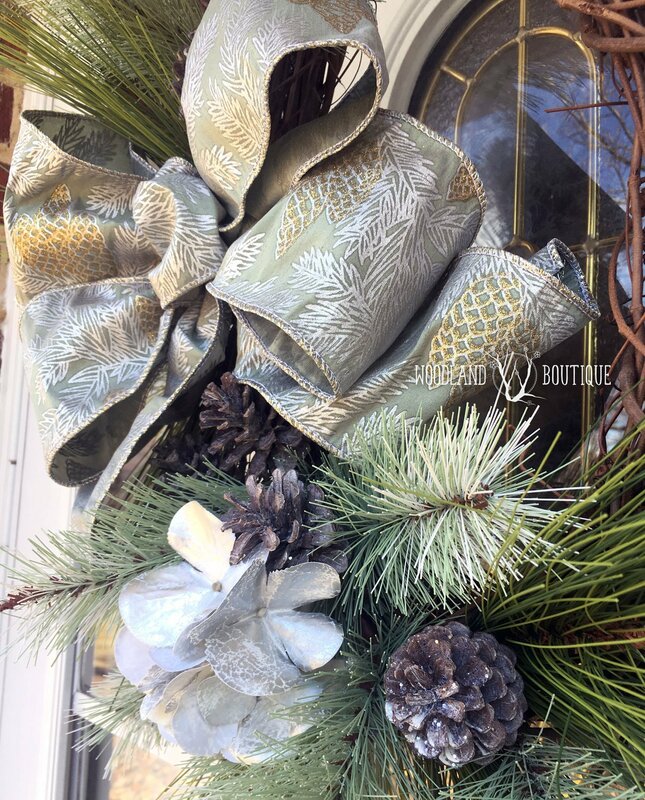 Subtle, glittery pine and long-needle pine create a beautiful backdrop for a hand-tied, faux dupioni silk bow in sage & silver, clusters of silvery-white hydrangeas and glittered pinecones.